Algorithms are unambiguous specifications of how to solve problems such as calculations, data processing or automated reasoning tasks. Almost all current internet platforms use algorithms for display and ranking purposes. It is the fairest and reliable way to automate such tasks. Every engine from Google to Facebook and Instagram all use customized algorithms which suit their purposes to rank user-generated content. These algorithms are updated over time to operate at maximum efficiency, so it is important to change with them. Sometimes new algorithms are introduced to solve certain problems and it is important to stay abreast of these changes. This is forever true, even when dealing with algorithms. Whenever a new algorithm is introduced, or an old one is updated, pandemonium sets in. The initial panic often drives people to make dramatic changes to their sites and SEO strategies. The thing is that these changes could have either a positive or a negative impact, but it sometimes isn’t as dramatic as people expect. Algorithm updates are often an attempt to curb illicit behavior from site owners using unscrupulous tactics. If you are exercising good ethics and doing things the right way, chances are the impact to your site won’t be substantial. It is best to wait and see what happens before making any major changes. It is not uncommon for Google to update its algorithms five-hundred times over the course of a year. There are many reasons for this, but it is more beneficial to know when these changes happen because they can explain small fluctuations in traffic. If you are aware of the changes taking place, then you can plan to pivot your strategy if necessary. It is important to have a marketing team with substantial algorithm knowledge so that they can adapt your SEO strategy or behind-the-scenes design when it best suits the business. A/B split tests can be a pain, but they yield great information. Even if the impact on your site is small, an A/B split test can show you what changes will combat the effects of an algorithm update. Sometimes an update may have a positive impact on your site. That’s great but an A/B split test may show how you can really maximize that impact. Rather than crossing your fingers and hoping for the best, you can run some tests and base your moves on hard data. 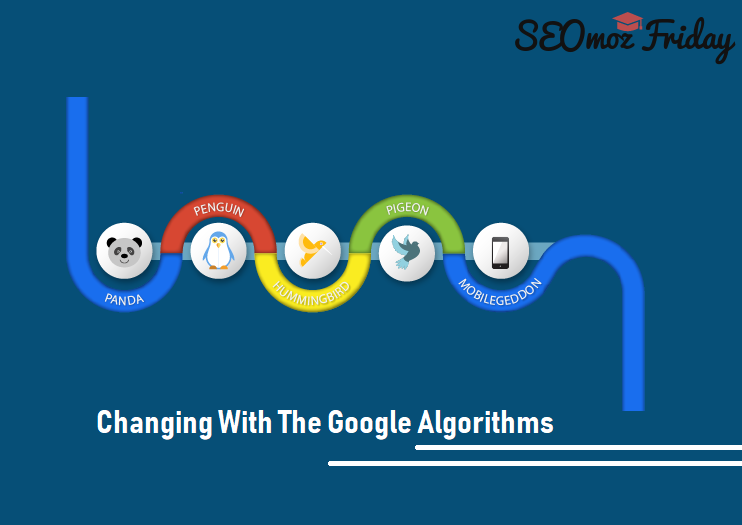 This is the best strategy when it comes to algorithm changes and updates. A reactive approach will have you pulling your hair out in no time and it won’t do much for your site either. Your marketing team needs to know what changes are coming and when. They should also have a good idea of the impact to your site along with a proactive, tentative plan in place.